Before we left on our adventure, our kids had a bike and scooter each, balance bike and a couple of ride on's floating about. They had loads of toys, a cubby house and plenty to play with. The boys slept in bunk beds and my daughter in a cot. They all had a heap of clothes and plenty of books/craft. Initially I was so overwhelmed! 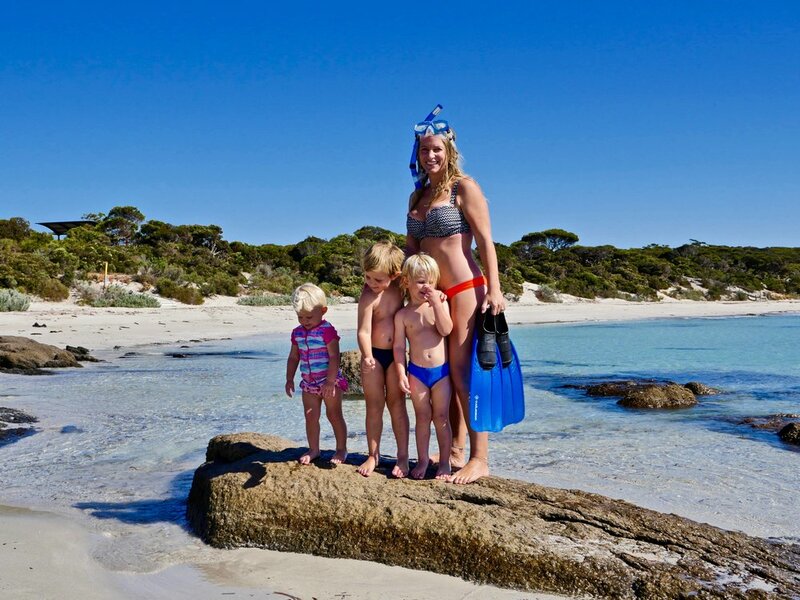 How do I pack for 3 kids to travel for 12 months? We knew we would be in mostly warmer weather, however it was inevitable that we would hit some cold. And that we did! I started to cull all the clothes they didn't wear anymore and the ones that weren't in their best condition. What was left, I packed or sent to the Salvo's! I decided to pack 4x shorts, 4x tshirts, 2x dress (a girls gotta have more clothes), 2 hoodies, 2x trackies, 2x summer pyjamas and 2x winter pyjamas and singlets, 2x togs, rashie and a hat each. Shoes - 1x thongs, 1x runners and a dressy pair each (although they have accumulated more along the way)! Other than a small box of craft including sticker books, crayons, flash cards etc we were done!!! 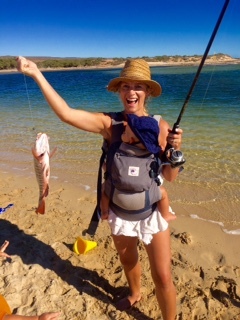 Our awesome time in Robe, South Australia!! What an unreal destination!!! 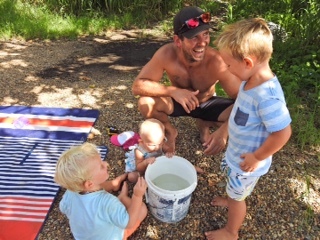 I wash on average every third day and the kids live in their bathers too. So we have ample clothes for them. Being outdoors all the time, their clothes have become stained and they basically trash them - typical kids. Along the way, we have topped up on a couple of tshirts etc and they have grown a lot since we left too! As for toys, it's amazing what they can do without! I gave the boys a backpack each and said they could put their favourite toys in for our trip! These would be the only ones we would take in the caravan. They seemed ok with that idea! As for our baby, I packed a few little toys for her and thought that I'd be able to purchase some more when she grew a little older. After 2 years on the road our kids are all about Lego so we have this on board as well as Magnetic Tiles which they love! Kids love their bikes and scooters, so both the lads had one each for the big lap and our daughter a scooter. We have a bike rack on the back of our van so it was easy to pop them on and be done with it. No getting them in and out of the van. We had taken with us a pram and a Little Tikes trike but we just didn't use them and off loaded them. Our daughter was 6 months old when we left so she mostly slept in the Ergo baby carrier (best ever). We would plan our trip out around her sleep and she would nap on mum in the carrier. As for the trike, it busted thanks to the lads trying to perform donuts in it. And the pram, we sold on gumtree - Charli prefers to walk now! Although, if you think you'll need a pram then take it. We have met plenty of families travelling with little ones and they get a lot of use out of their pram! Here Bec chats about packing up your life to travel Australia. As for technology, we have an iPad each for the kids and we keep them confined to the car. The boys love the educational games and learn loads from them and it also gives us a break! Because we have the RV Wifi unit the kids are able to stream a movie through an app (doesn't use data!) which is handy to get you through that extra hour. They really haven't missed their toys at all. Or anything else for that matter. I definitely think we packed appropriately and the kids prefer to be outside playing with sticks and stones or at the beach. Which is what this trip is about. They absolutely love being outside in nature! Remember, pack lightly as you won't use as many clothes as you think. There are plenty of Kmart's and Big W's along the way to purchase any clothing if you need to stock up! Kids excited to see each other after a few days apart!